Simply Southern Girl: Time to Sew.. I have quite a few sewing tasks on the horizon, as soon as I can decide on fabric, I am going to work on sewing the Euro pillows for our guest room, some throw pillow for the couch, and I am toying with the idea of making a cat bed for Henry. 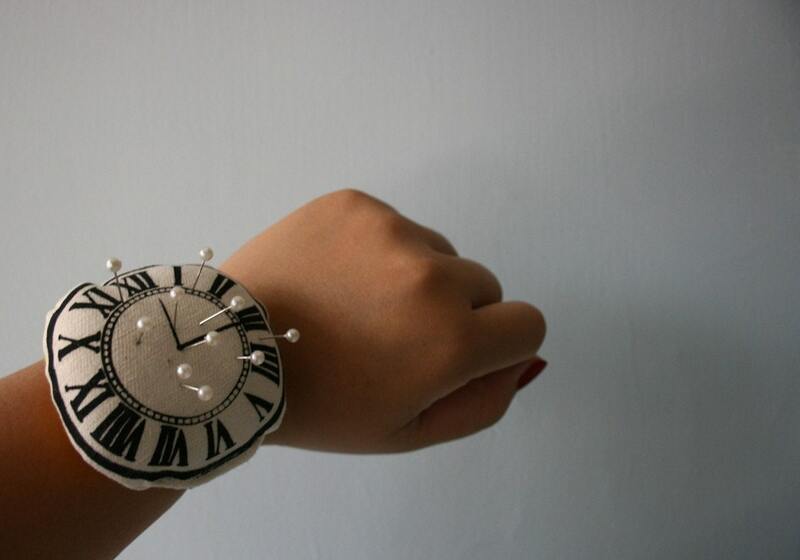 I was looking on ESTY for a new pin cushion and came across the adorable pin cushion "watch" at littleclouds!! It is adorable right??? Nothing like a little inspiration to get me motivated!! !